H. Rick Bamman - hbamman@shawmedia.com Fabrik Plastics molding machine oporator Gordon Roscher (left) of Garden Prairie, Wis. prepars another run while Daniel Hofer of Holiday Hills inspects 7 4-way sockets used in trailer hitches. Fabrik Plastics in McHenry is contemplating a move out of state, a move that could lose the county and the state roughly 400 jobs. H. Rick Bamman - hbamman@shawmedia.com Fabrik Plastics production floor in McHenry. The custom injection molding supplier is contemplating a move out of state, a move that could lose the county and the state roughly 400 jobs. With state incentives on hold because of the budget crisis, McHenry officials are putting to use a new property tax incentive program to try and keep Fabrik in the city. 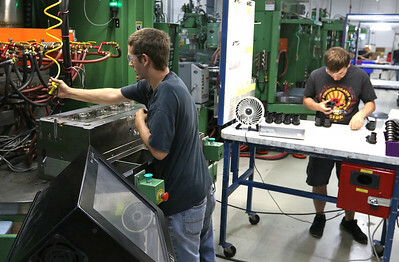 H. Rick Bamman - hbamman@shawmedia.com Fabrik Plastics employee Curt Kozar (lower left) of Woodstock runs an mold injector making pressure sensor connectors at the facility in McHnery. 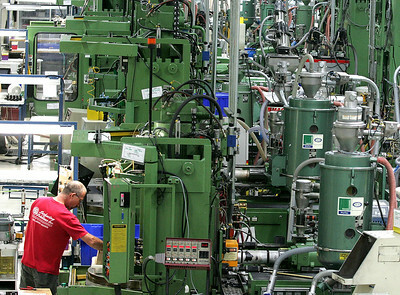 One of the county's top employers, Fabrik Plastics in McHenry is contemplating a move out of state, a move that could lose the county and the state roughly 400 jobs. With state incentives on hold because of the budget crisis, McHenry officials are putting to use a new property tax incentive program to try and keep Fabrik in the city. Fabrik Plastics production floor in McHenry. 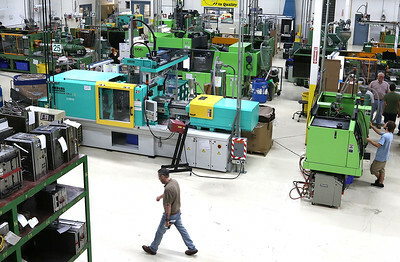 The custom injection molding supplier is contemplating a move out of state, a move that could lose the county and the state roughly 400 jobs. With state incentives on hold because of the budget crisis, McHenry officials are putting to use a new property tax incentive program to try and keep Fabrik in the city.